Recent past which rouse in our memory as we can recall food joints of various steamer and railway stations, market places or weekly huts [হাট] or mart as well as old Calcutta and its suburbs where people casually pass through or stop for a few hours on various errand. A system to satiate their hunger was available which was cheap and upto their liking. Those hotels were called "Pice Hotel [পাইস হোটেল]" or "Cheap Rice hotel [সস্তা ভাতের হোটেল]. 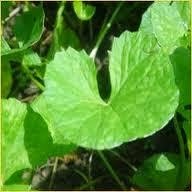 The word Pice came from a basic smallest value widely known at the time of British colonial occupation of our country. One should not mistake Pice hotel as synonymous to cheap hotel judging by the name. Pice hotels attract customers not for the cheaper items they serve, but for the fact that they offer a menu that caters to the entire satiation of the customer's hunger, and the selections of fish were astounding. They supply all those items the client may generally think of demanding till they have their belly full. Thus those hotels are deemed to be least costly. One could avail belly full of meal with 6 to 14 anas that is a small part of a rupee, now today you can compare in the present context, 100 Rupees x 6/16 say about 36 Rupees. So, I came down to a new concept of Pice Rice. In the early 90's one standard menu of the Pice Hotel consists of rice, mushurir daal, jhiri jhiri alu bhaja, alu posto, one dalna, kata ponar kalia, chutny, and papor. It used to cost Rs 20. I can escape cooking various items with these rice recipes on busy days, which is so delicious and wholesome every time I become solely satisfy with it. Pipira kadiya Jaay Pate - [পিঁপিড়া কাঁদিয়া যায় পাতে] Slurping noise! Ants leave the plate, crying in despair! Bangalees can cook rice blindly. Cooking boiled rice is very simple, one needs to take water in a proper measurement, the ratio is 1:3 - for 1 part soaked rice in 3 parts of boiling water, and need to stop cooking just before its completely done, otherwise it will mesh up at the time of straining out the water [starch - ভাতের মাড় / ফ্যান] because it does not stop cooking while the process is being done. 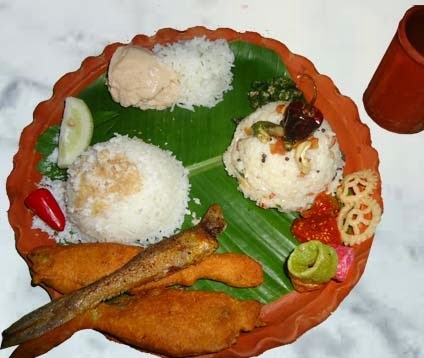 Some unforgettable tastes of Chormogoria, Narayanganj, Barishal, Madaripur, Nolmuri, Chandpur steamer station's food, and also the food of Lalmonihat railway junction. My grandmother was quite strict about street foods, but my grandfather was a true gastronome and a connoisseur of good food. 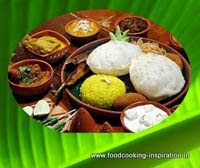 He tried all types of good foods available at that time because at home cooking with onion or garlic in upper caste Hindu household is not permissible. My queries brings my father back to memories of cooking experiences of porcupines [শজারু], tortoise [কাছিম], ducks [হাঁস], and stork or wild duck [Buno Haansh বুনো হাঁস] outside the house in the Mango Garden. I feel the tiny light in his eyes when he was recalling while talking about his experiences like he can almost hear clinging noise and disturbances at bay. 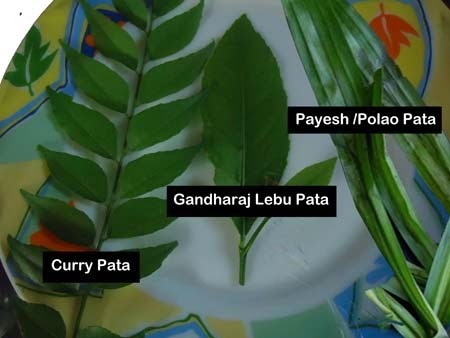 Whenever they were used to caught by the ladies of the house during cooking or eating these not permissible foods, my grandfather excused them saying, "let them" - "ছাড়ান দাও পোলাপানা অরা"
- meaning "meat of young goat and mature lamb, first cut of Bengali yogurt, and finishing portion of churned yogurt are the best". On reviewing the indigenous counting system of Bengal, I found some interesting method of arithmetic, was memorized from verses of Subhankari Arja [শুভঙ্করীর আর্যা] the Mahajani method of book-keeping, by which the country accountants continue to keep intricate accounts in the simplest of ways. The jamabandi and the mensuration of plane figures were taught under Subhankari [শুভঙ্করী] and Dharapat [ধারাপাত]. 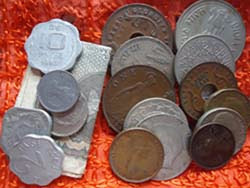 At a time Cattle and cowrie shells have also served as currency. The monetary tables and Subhankari method of arithmetic and Dharapat were taught several years back to the children in primary schools [pathshala - [পাঠশালা] of Bengal and Orissa. The words Kara [কড়া], Ganda [গন্ডা], Buri [বুড়ি] etc. 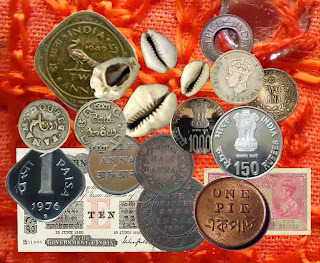 were all based on cowrie (কড়ি) currency, are discarded with all their paraphernalia and next the child will have to master the metric units and decimal as a reference to the British units of coins Pie [পাই], Pice [পয়সা], Penny [পেনি] etc., weights and measures. Cowrie (কড়ি) as well as Pice (পাইস) currency is now extinct, but it has left an indelible stamp on the street food culture of Bengal. Cowries constituted the most popular currency, those were used along with metallic coins as the medium of exchange. See the reckoner.